Nat-E-Marketing solutions help ensure that your sales, marketing, and support efforts are all working toward a common goal, so that you can take your business success to a whole new level. CRM is a desktop or web based software solution for customer relationship management focusing on lead and clients details management. An effective CRM solution helps you keep sales and marketing focused on filling the sales pipeline and generating more revenue rather than manually tracking sales leads. Our software and sales team automation tools power up your day-to-day business activities so that you can focus on selling and not maintaining data. Nat-E-Marketing works great for business to business (B2B) and business to consumer (B2C). 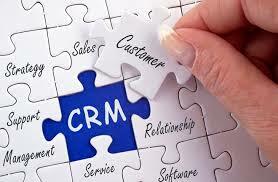 Do I need a CRM tool for my Business? If you can answer yes to any of the following questions, then the call enquiry management software should be your next purchase. 1. Do you have a low lead-to-conversion percentage? 2. Do you think leads are being wasted? 3. Is your customer relations management software under utilised? 4. Do you feel you are missing calls and subsequently sales? 5. Do you feel your competitors are making more sales than you are?